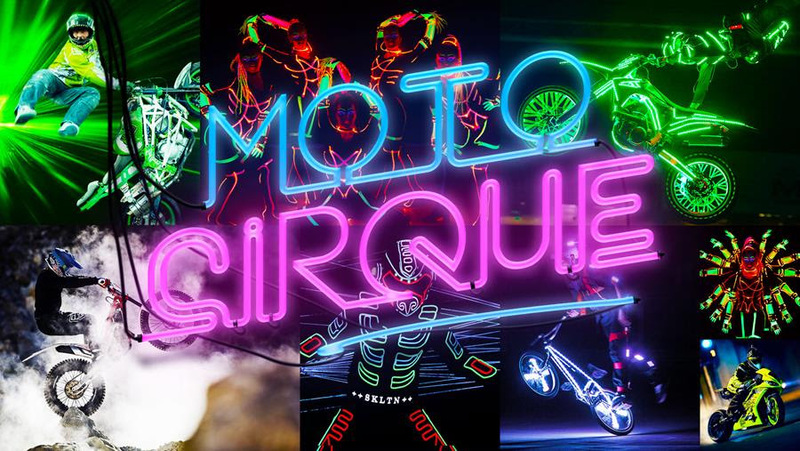 You are at:Home»Motorcycling News»MOTO CIRQUE – BRAND-NEW LIVE ACTION ARENA SET TO DEBUT AT MOTORCYCLE LIVE! A brand-new, high-tech, high-energy live action stunt show will be debuting at Motorcycle Live 2018. Moto Cirque is the brainchild of pioneering show creators Arena Sports Live and will be the first spectacle of its kind to take place in the UK. The intensely choreographed daily performances will include world-class street bike stunt riding, BMX, freestyle Motocross and moto trials in an intoxicating mix of lights, lasers and theatrical performances. The show will be set within an amphitheater-style layout of ramps, structures and platforms, and surrounded by 2,000 seats for Motorcycle Live visitors to get a birds-eye view of the stunning show. Entry to the Moto Cirque arena is completely FREE, with performances taking place at 12.00 and 14.00 from Monday-Thursday, 12.00, 14.00 and 15.30 on Friday and at 11.30, 14.00 and 15.30 at the weekends. Motorcycle Live 2018 takes place at The NEC, Birmingham from 17-25 November. Advance tickets are on sale now priced at just £19.50 per adult, £12 for Seniors, £1 for 11-16 year olds* and FREE for children aged ten and under**. There is also a £25 advance ticket, which includes entry to the show and an Oxford HD MAX disc lock worth £25.00. *Advance ticket prices, closing date for advanced tickets 5pm on 16 November 2018. There is a £1.50 fulfilment fee per order. **Under 16s must be accompanied by a paying adult.